Deeply held in the life of Canada and Canadians is the identity and practice of religion. The New Generation Interfaith Initiative is committed to advocating for religion in a pluralistic society and Canadian life. 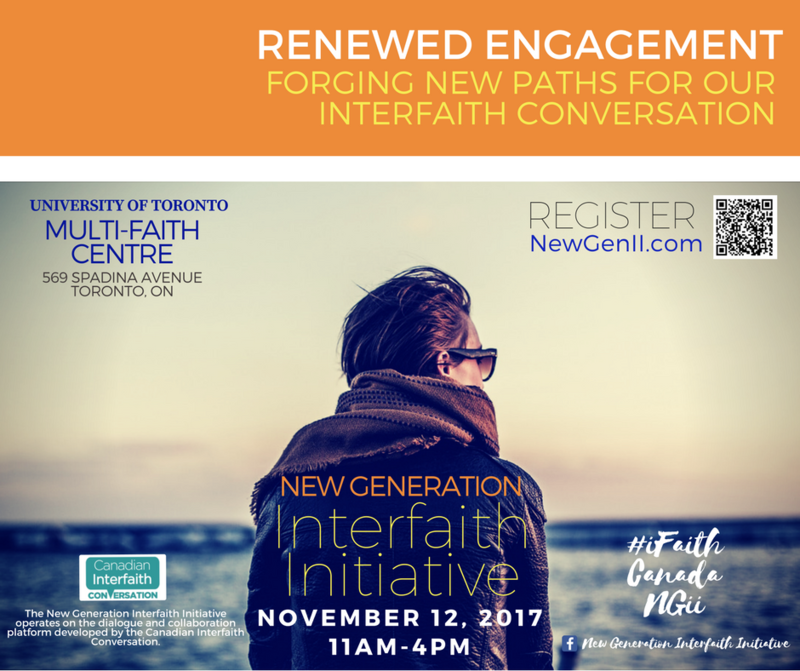 Join us on November 12, 2017 as we bring together youth and Millennials from across the GTA to explore past, present and future themes in interfaith dialogue and collaboration. APPLICATION DEADLINE: 11:59PM SATURDAY, NOVEMBER 11TH!